Is It a Good Idea to Cook Homemade Dog Food for My Dog? Have you ever thought about home cooking for your dog? If you have, you are not alone. More and more, people have decided to make their own pet food. And many more are seriously considering it. Why this new trend? Is it a good idea? Commercial diets are more convenient to use, cheaper, and nutritionally more consistent. So why would anyone want to go through the trouble and expense of cooking for their dog when there are so many commercially prepared foods readily available? There are different reasons people decide to home cook. Some simply want to be able to offer their dog a fresh homemade meal. Just like they offer to the other members of their family. They want their pet to eat what they eat. Many people will cook for a sick or elderly dog. These dogs often do not eat as well as they should. They may have developed a food aversion. They may be losing weight. They may not have an interest in eating their usual commercial diet. But, they can be coaxed to eat some home prepared food. Cooking for them is sometimes done as a last resort. It is a way to be sure that they are eating enough calories each day. Some people simply do not trust commercial pet food companies. This mistrust increased a few years ago. In 2007, the Food and Drug Administration began receiving a large number of complaints concerning dogs being diagnosed with Fanconi syndrome, a rare form of kidney disease. Thousands of pets became ill after eating chicken jerky sourced in China. Many pets, mostly dogs, were hospitalized. Many died. This is when many people decided it was safer to cook their dog's meals themselves. When you hear reports of pet food recalls, you may worry about what you are feeding your own pet. And you have every right to be concerned. Salmonella, the most common contaminant, can make pets and humans very sick. But let's take a closer look. In 2014, there were 12 recalls of pet foods. Only 1 of these was from a major pet food manufacturer. Because of the possibility of salmonella contamination, 63 bags of pet food were recalled. Compare this to the number of recalls involving foods meant for human consumption. Many of these foods were recalled for salmonella contamination too. You may agree that pet food manufacturers have a better safety record than their human counterparts! Reading pet food labels can be confusing. You read the ingredients on pet food label and question their quality. What exactly are "meat by-products"? Some people are concerned that meat by-products are of a lesser quality than meat. This is not necessarily true. In fact, sometimes by-products are of a higher quality than meat. Many of the by-products found in high quality commercial pet food are considered "human-grade." They are simply foods that we don't traditionally eat in this country. It is a question of culture rather than quality. Pork and beef liver, tripe, and spleen are not generally served for dinner in the United States. Because of this, they are listed as "meat by-products" in pet food. Whether you decide to feed your dog a commercial food or home cook, you want to trust the product. 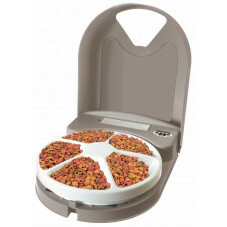 There are many top quality commercial pet foods. There are also many that are of questionable quality. Research the pet food company. If you have questions, call the company and speak with a representative. Talk to your veterinary professional. 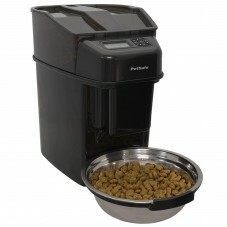 They will probably have recommendations based on their own experiences with pet food. There are many books and internet sites dedicated to home cooked recipes for your dog. Not all of them will yield complete and balanced meals. A study from 2013 evaluated 200 recipes from over 30 sources. Only 5 of these recipes met all the recommended nutritional requirements set for adult dogs. These 5 recipes were formulated by board certified Veterinary Nutritionists. Most of the recipes were deficient in more than one vitamin or mineral. Many did not include specific feeding instructions. Some recipes included garlic and onion, which can cause hemolytic anemia in dogs. Some recipes allowed for substitution of ingredients which changed the nutritional profile of the food. Substituting ingredients will also change the calorie content. The goal of nutrition for our dogs and cats is the same as it is for ourselves. We want to promote a long and healthy life. To do this, we must avoid deficiencies and toxic doses. We need to know how much of each nutrient our pets need to remain healthy. Feeding your dog a homemade diet that is nutritionally complete is not easy. But it is possible. If you really want to cook for your pet, seek the advice of a professional, board-certified Veterinary Nutritionist or a PhD-trained animal nutritionist with experience making pet foods. Once again, your veterinarian is an excellent resource and may be able to connect you with an expert. Charlotte Higgins is a certified veterinary technician who specializes in the area of nutrition. Can You Really Cook Food for Your Dog? Organic, Gluten-Free, & Natural Pet Foods: What Do They All Mean? My Pet Has a Food Allergy? Should I Give My Pet a Nutritional Supplement?